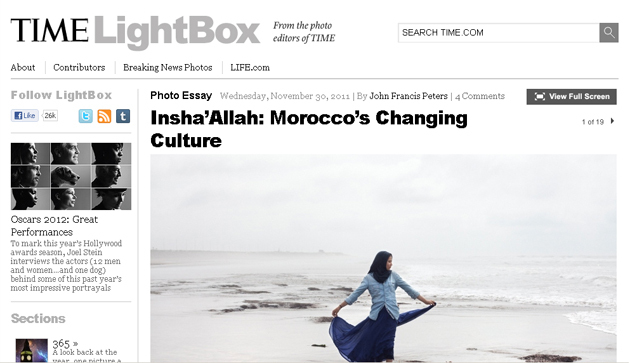 John Francis Peters, Beyond Digital’s main photographer, has a photo essay from his time in Morocco featured in TIME Magazine’s prestigious Lightbox. Lightbox features outstanding work from around the world as selected by TIME’s photo editors. John’s photo essay, “Insha’Allah: Morocco’s Changing Culture,” brought the Beyond Digital project to a mainstream audience.